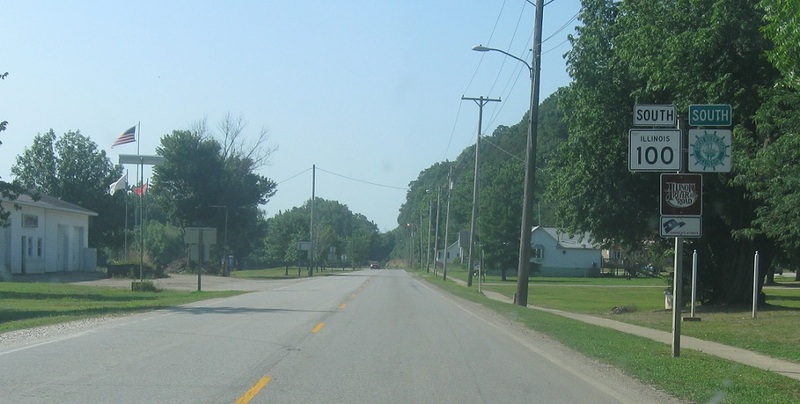 Reassurance shield after the 96 junction. 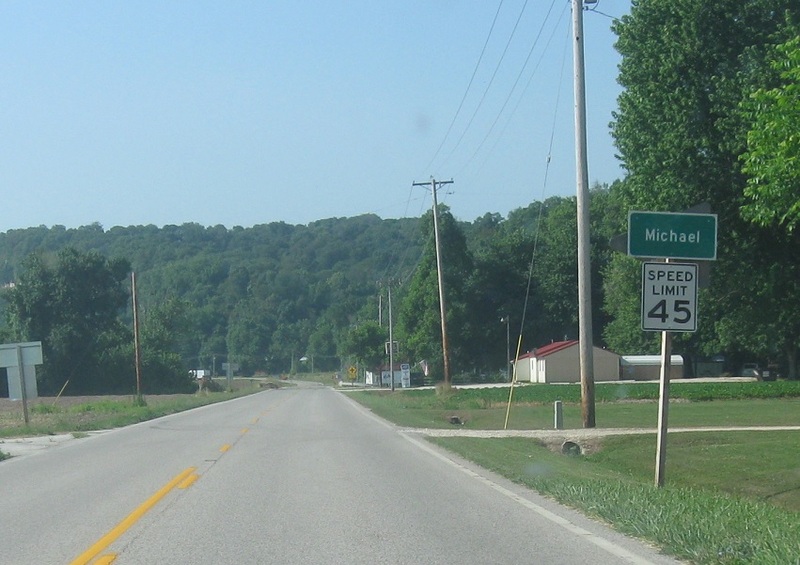 A couple miles later, we’ll enter unincorporated Michael. Reassurance shield as we head out of Michael. 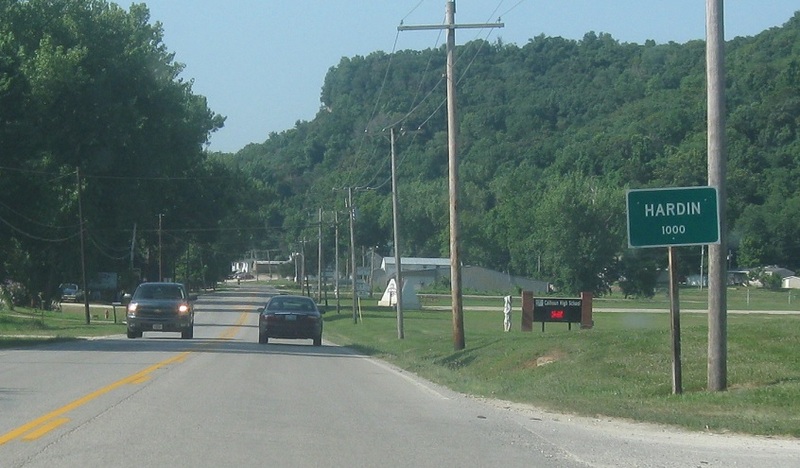 A couple miles later, we’ll enter Hardin. 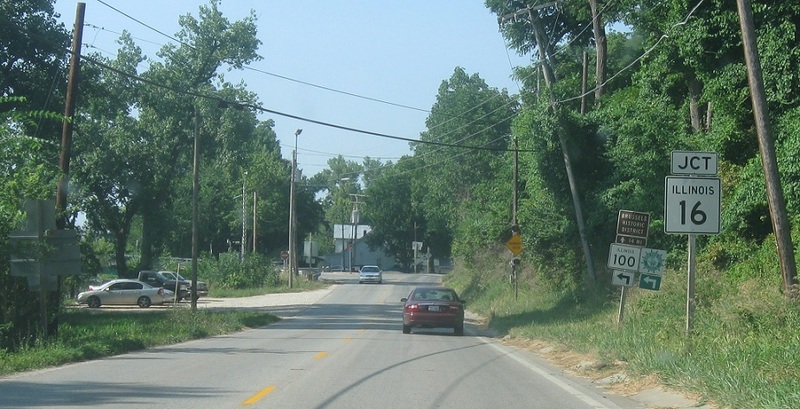 On the north side of Hardin, we’ll approach Route 16. 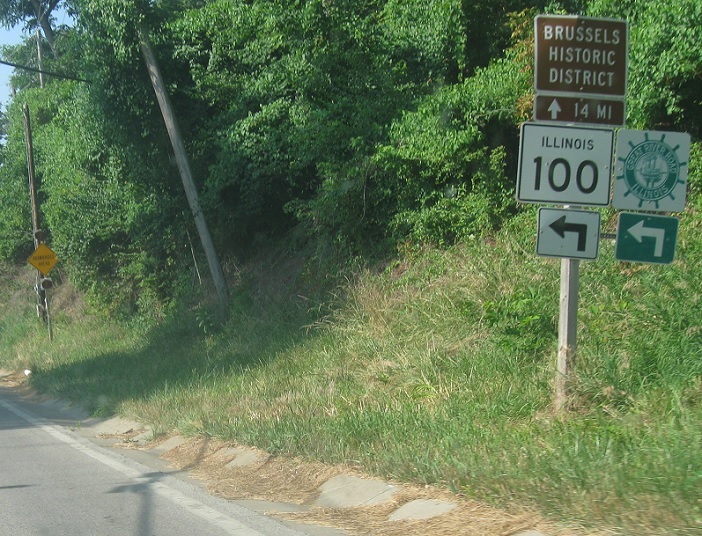 At the junction, turn left to follow Route 100 over the Illinois River. 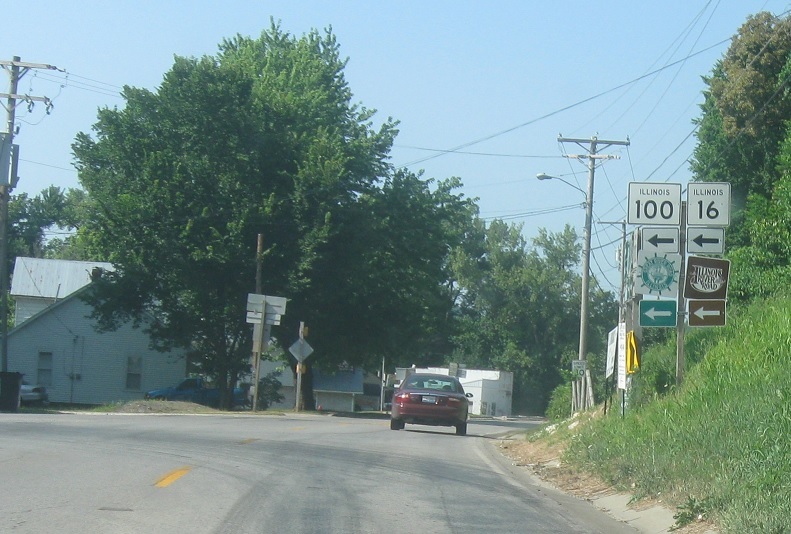 Turn left for 16 east/100 south. 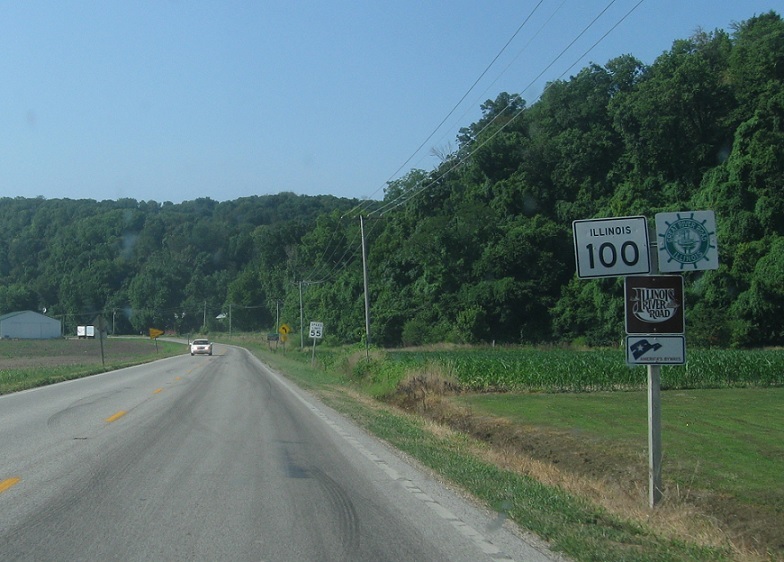 This is the western terminus of Route 16.